Let’s look back in time. It’s October 1st, 2003, when INCHRON was established. For the founders of INCHRON, a dream began to come true: The transformation of fundamental research results into products that would enable customers to manage the intrinsic complexity of real-time systems development. The underlying technology was developed in research projects of more than 50 man years. This was also the start of a long-lasting journey for INCHRON, driven by encouraging industry feedback, a huge dose of passion, and a crystal-clear mission. Fifteen years later, we see with great pleasure and lots of satisfaction that our methods and tools are now being regarded as indispensable components of state-of-the-art development processes for real-time systems. The concept of event chain optimization that we promoted right from the beginning has made it into the minds of countless engineers developing such systems. Today, INCHRON’s expectations for the years to come are as high as in the early days, coupled with lots of energy and passion. Given the opportunities and challenges we face, we still see INCHRON rather at the beginning of its journey. Supporting our customers in making autonomous driving a safe and pleasant experience is certainly our top priority over the next few years. Supplying our customers with cutting edge tools based on the latest and greatest research results will always be high on our agenda. 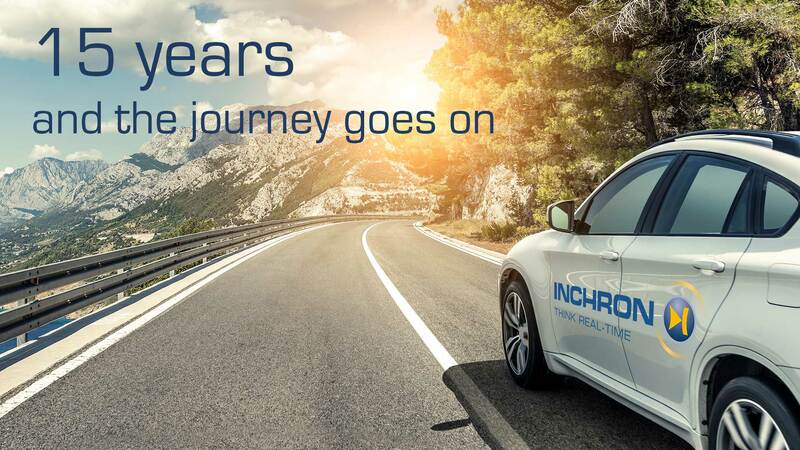 For us, INCHRON’s 15th anniversary is a good opportunity to say a BIG THANK YOU to everyone who contributed to INCHRON’s exciting journey so far: Our more than satisfied customers, our strong partners, and our highly committed staff. So let’s move on, hand in hand with our customers, to make their products even more robust, reliable, safe and competitive.